No matter how skilled you are, the pigeon is going to knock over all the pieces, crap all over the board, then strut back and forth like it beat you at your own game. Every Muslim, even your nicest Muslim friend, lies in many ways. They often say the following, but these things ARE NOT TRUE according to what most Muslims actually believe and teach. Learn how to argue the Islamic truth which is opposite of these statements. They are lost liars trying to argue these things. 19. All religious leaders used or taught violence for beliefs. NOT SO. NOT JESUS! NOT EVER. I cannot afford the SSL certificate for my website right now. You can contribute to help me assure visitors of its safety. 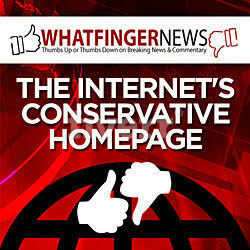 tellthetruthnews dot com Also read many Articles on Islam, Good Imam, Bad Imam, Sharia America, etc. I will post my speech defending Tommy Robinson soon THAT NO ONE ELSE IS SAYING!!! JSB, FYI: People pay me to advertise on this website. Don’t do it again. The scary part is that they are stealthily moving up into senior executive positions of western companies and people do not realize that they will change western business practices. The ones I encountered are very argumentative and irrational, because their minds are messed up. Everything he accused Luke of doing is exactly what he and all Muslims like him are perpetrating on each country they invade. Free loading murderers, child rapists and animal multilaters. You CAN’T reason with Muslims because they’re incapable of critical thinking. They’ll believe that they’re always right. And majority of Muslims are inbred because they keep on marrying their first cousin generation after generation. While some Muslims don’t have genetic birth defects, MOST Muslims have some mental disorders due to inbreeding. Their parents are cousins, their grandparents are cousins, and so on and so forth. That’s the only thing they know. Is it any wonder why Muslims have a low IQ and are incapable of thinking? Exactly. The mental damage caused by inbreeding is worse than the physical problems. Studies show huge increases of mental illnesses, and a drop in IQ of up to 20 points. Average IQ’s in Africa and the middle east are already poor, ranging from 56 to 86, so logic and critical thinking are nonexistent. They’re perfect cult members though, and give new meaning to the term “useful idiots”. Arguing with moslems is a complete waste of time, energy and effort. It poisons your heart, mind and soul. I had an experience on youtube where a Moslem called me a scumbag and a troll because I stated facts (which she then twisted around) and wouldn’t listen to her BS. On top of that, she initiated communication in the first place by chiming in on my discussion. Go freaking figure! Huge respect for this man Luke. What a fabulous video. It proved beyond doubt the pigeon/chess premise. I have walked past this stand many times & Im glad to say its gone now because of the numerous complaints to the city council & of brave people like Luke. He was so well versed & knowledgeable about the cult of pisslam it was inevitable the pos would blow his baby hat covered top. Pigeons are rats with wings …. Muslims are rats full of murderous hate …. if they are true followers of their own religion …. Pigeons believe in crumbs and seed mix and sh*tting on statues …. 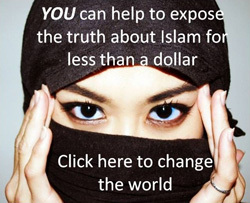 Muslims live to kill unbelievers and enslave each other ….. I prefer rats ? “Arguing with Muslims is like playing chess with a pigeon”…….turn the table and learn: Islam will always claim victim status along with claims of being non violent. Get ahead of the argument and counter with knowledge and watch a Muslim really get upset because when encountered with the truth you know makes them mad as hell, especially from a non Muslim. Not much better with so called “Liberals”. I swear to God I can easily imagine hundreds of thousands or even millions of Erdogans army landing in the middle of Western Europe – and the locals just stand there gawking. We are very sick. The Christian and Jewish blood thirsty Muslims WE are streaming into our countries are just a symptom of an untreated degenerative disorder. Why is Merkel not serving life in jail for crimes against humanity? Better get serious or our children will be the losers without roots anywhere. 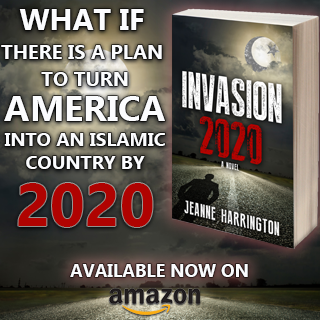 Imagine – the French are confused and don’t know what to do about losing THEIR country to Muslims. Wtf. Arguing, or reasoning with Moslems is also like having a conversation with a brick wall. Impossible and pointless; no matter what, they’re always right and everyone else is always wrong. On youtube I had a Moslem call me a scumbag and a troll because I stated facts (which she then twisted around) and wouldn’t listen to her bullcrap. On top of that, she chimed in on my discussion and therefore was the one who initiated communication in the first place. Go figure, go freaking figure! Yes, please I’d like to have a pile of Quoran’s. Doesn’t matter which language they are printed in. Would really keep my woodstove going in the winter! Add any NFL merchandise to the woodstove to gain heat.